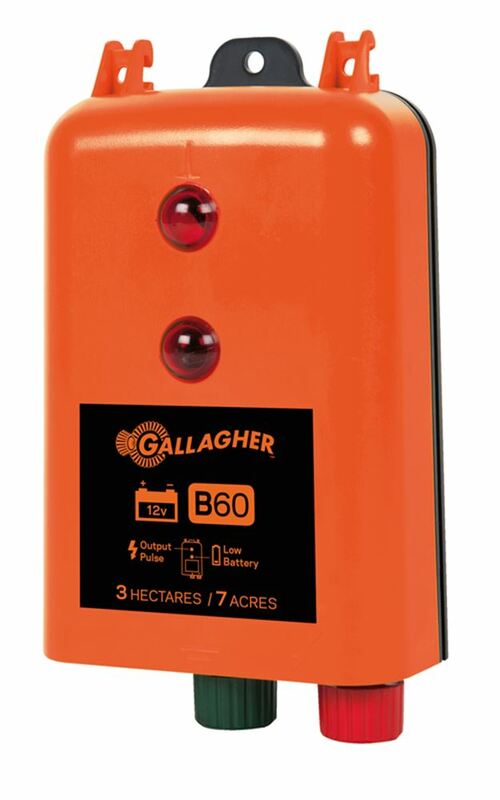 This 12V battery energiser is made by industry leader Gallagher and is perfect for paddocks or small areas. - energiser can power 6 km of multi-strand fencing under perfect conditions, and 2 km with light-medium vegitation. - register your purchase with Gallagher online and you get a 7 year warranty. This is the best warranty in the industry! Please note: This energiser does not come with an earth stake. 1m earth stake is recommended. We say: This is a neat energiser, with the durability we'd expect from Gallagher. Simple but reliable.